As of November 1, 2018, those who choose to use their cell phone while driving will be faced with tougher penalties. 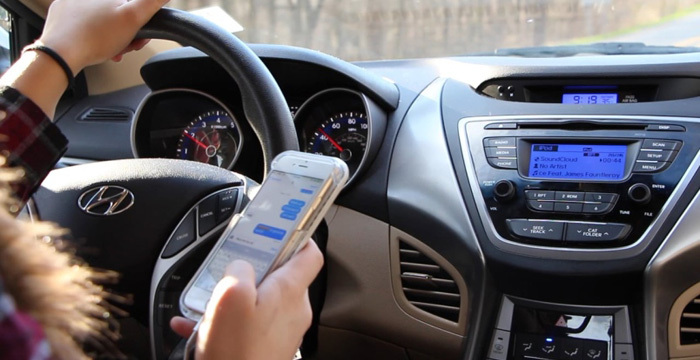 If a driver is caught using a cellphone or any other hand-operated electronic device, a mandatory three-day suspension will be issued on the driver. If a second offence occurs within a 10 year period, the suspension will be increased to 7 days for each subsequent offence. In both cases, the driver will have to immediately surrender their licence and a temporary driving permit will be issued. The permit will allow the driver to lawfully move their vehicle to another location. The temporary permit will expire at the end of the day following the day in which it was issued. Following expiration, the suspension will come into effect. Upon the completion of the suspension, the driver will be required to pay a $50 reinstatement fee in order to obtain their driver’s license back. Being distracted while driving can occur for different reasons other than use of your cellphone. Examples include distractions caused by other passengers in the vehicle (including pets), making adjustments to you car radio or climate controls, eating or drinking and personal grooming. If other traffic laws are violated or a collision occurs as a result of the driver being distracted, drivers can be charged with others offences such as driving imprudently, dangerous driving or another specific offence the distraction caused the driver to commit (such as failing to stop at a traffic signal). The fine for this offence will now be triple what it was previously, moving from a $203 to a $672 fine. In addition, five demerits will be added to their driver safety rating which will impact the cost of their driver license and vehicle insurance premiums. The charge will also be reported to Manitoba Public Insurance (MPI) where, upon review of the person’s driver history, a further driver suspension could be issued. 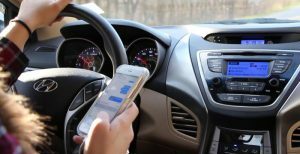 The increase in penalties is a direct response to the increased number of collisions caused by distracted drivers in Manitoba. According to statistics provided by MPI, between 2012 and 2017, the number of collisions caused by distracted drivers increased approximately threefold with 15,403 collisions occurring in 2017. MPI’s recent 2017 traffic collision reports shows that distracted driving was the most prevalent contributing factor responsible for 41% of fatal collisions and 42% of serious injury collisions on Manitoba roads.